When it comes to remodeling their bathroom, many people find it intimidating. However, the fact is that bathroom renovation is one of the most effective ways to increase the value of your property, without draining your entire fortune. In fact, it will also improve your overall living experience and satisfaction, if you do it in the right way. In case you are running short of low-cost renovation ideas, here are some exclusive bathroom remodeling ideas for your residence. If you prefer minimalist designs, then you can play with the white background and match your vanities, mirror and the wall tiles. Use the Silestone countertops and the mosaic backslash tiles to comply with the marble flooring. Add the final touch with the nickel fixtures. If you love a funky background, then try out mixing and matching tiles in the zigzag pattern. Increase the depth of the floor by using the monochromatic tiles, with patches of gray to break the pattern. Place a dark vanity, with matching accessories and a final touch up with bronze fixtures. If you want to change the wall styling, but do not want to invest in the expensive backsplash tiles, then you may try out the bold wallpapers to complement the lightly shaded vanity. Use chrome fixtures, to accentuate the beauty. If you are planning to change the bathroom tiles, you must try out the rustic wood-look tile flooring. Choose matching vanity and bronze fixtures to complement them. If you have limited space in your bathroom, you can try out installing the freestanding bathtubs. The wall-mounted vanity also saves a lot of space and makes it eye-soothing. Use ceramic tile flooring and marble countertops, to create a statement piece with your tub. Depending on your preference, you may opt to lit your bathroom dimly or in an exotic way. If you have a marble flooring, white tiles and matching vanity, you need to worry no more about lights. But, if you are using the rustic wooden tiles, granite countertops or the patterned backsplash tiles, then you may consider the option of placing the lights on either side of the bathroom mirror for the sophisticated appearance. Have you tried the ‘go-green’ theme? Use a vertical molding to increase the depth of your bathroom. Paint the walls green, to create the illusion of higher ceilings. Use dark vanity, if you have a bamboo surfaced countertops and couple it with brushed nickel fixtures to ensure a taste of greenery in your bathroom. When it comes to make a choice about improvement in your kitchen it is really very tough to decide where to start from. But if you find your kitchen a little bit or more outdated then the easiest thing which you can do to chance its look is a chance the countertop. This chance may come out as a little bit pricy investment for you, but if you choose the right countertop the spending of money may not seem a big deal. Nowadays the Silestone countertops are gaining so much popularity among the crowd. The Silestone countertop is made up of natural quartz and is extremely hard and supple and along with it the Silestone countertops also have the antimicrobial characteristic which makes it the best option for any kind of usage. So if you are thinking to remodel your kitchen then, then remodel kitchen with Silestone countertops and enhance the look of your kitchen in the best way possible. There is no doubt that the Silestone countertops are one of the best countertops which you can choose to remodel your kitchen or your bathroom. This countertop adds up the beauty to your place, but along with enhancing the appearance of your house there are a number of advantages associated with the Silestone countertop. 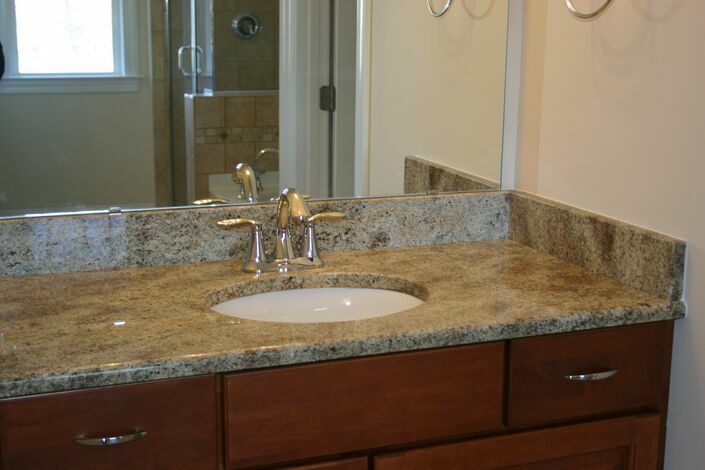 Just have a look over the benefits of Silestone countertop installation at your place. The main advantage of Silestone countertop is that, it is bacteria resistant. Therefore, it can be used in kitchen or bathrooms with out and tension. The above mentioned are a few advantages of the Silestone countertops, so if you wish to remodel your kitchen, include the Silestone countertop in your wish list. What are the best eco-friendly countertop options available? Looking for environmentally friendly kitchen countertops? You’ve come to the right place! The Countertop Factory provides a virtually endless selection of the best countertops on the market, including eco countertops and Icestone countertops, which create less of an impact on the environment to make. Regardless of whether you are seeking kitchen or bathroom countertops, you are sure to find the very best countertops to suit your needs among our selection! No one else in North Carolina has nearly as much experience with countertop repair and countertop installation as our very own countertop contractors. If you’re not sure which type of countertop is right for your home, we would be happy to help you narrow down your selection from our countertop options! 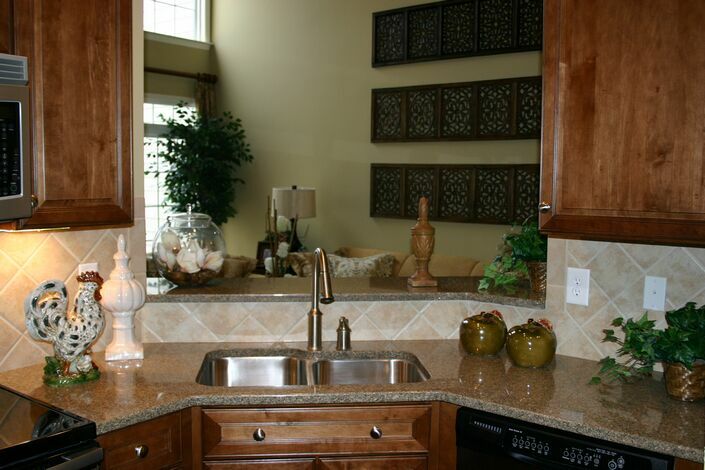 If you are looking for granite countertops for the kitchen, you will find them with us. Some other popular countertop ideas for the kitchen include solid surface countertops such as Formica countertops, as well as quartz countertops such as Silestone countertops. Butcher block countertops are also a great choice for the kitchen! On the other hand, a few of our most popular choices for the bathroom include limestone countertops, recycled glass countertops and soapstone countertops. We hope to work with you soon!